We are already half-way through our 3rd quarter and this will be the last regular curriculum week of the month. Next week is our state testing so it is very important that your child be here every day and on time or even better, 10 minutes early so we can all start on time. We can’t hold off for any late students as all tests are timed. Please let me know if your student is sick or you have another emergency so we can plan accordingly. Test can’t be made up, unfortunately so hopefully everyone will be healthy and ready to do their best. Your students have really enjoyed our Science lessons so far as we’ve discussed animals, weather and plants and how God made all things to work together. We’re hoping to watch some beans grow up and see the steps in the process. Some students have even named their seeds. Our Math lessons are focusing a lot on weight concepts (gram, oz, lb., and kg) along with our multiplication facts for 0, 1, 2, 3, and 10. We will keep working on those with the addition of the 5-family this week. Keep reviewing those at home too. We have some super smart kids in this class. I try to stump them with harder problems, and they are still quick to solve them, along with finding every missing comma or mistake on the board. Great job!!! Another concept we are working on is figuring out the time; earlier or later, from a starting point such as: It is 5:00 pm. What time was it 1.5 hours earlier or 15 minutes later. That would be a great thing to practice at home. Our Easter Egg hunt will be this Friday in the morning. Students may bring their own basket or bag, or we can provide a lunch sack for their 10 eggs. This is always a favorite among the students. We have already started practicing our Mother’s Day song for our program on May 10th. Pray for sunshine and warm weather that day! Have a great week and let me know of any concerns or questions. Tues- read for 15 minutes and practice 2, 3, and 5 multiplication facts from 0x2-12x2, etc. I hope your children all enjoyed a nice break from their school work although it’s now time to jump right back in. We have just 2 regular weeks of curriculum before our state testing begins on April 22nd so we want to get a good start on new concepts and reviewing others. We’ve begun doing metric measuring with meters, centimeters, grams and kilograms and are continuing to dig deeper into division and multiplication. The students seem to be getting a pretty good grasp on this concept but we will continue to work on it every day. Please help your student to keep practicing telling time on an analog clock, especially if you have a clock or watch that uses Roman Numerals. We have studied the Roman Numerals from 1-30, 50, 100, 500, and 1000. Counting money is still a challenge for a few students too and that is always a very practical skill to master so let them count your pocket change or draw amounts of money to count. We are continuing to work on nouns and verbs, along with using words like: their, they’re, there, its, it’s, your, you’re, correctly. By this time in the year, students should be able to write a sentence correctly with capital letters, punctuation and a complete thought. We are still working on spelling but I have seen some great growth in that area with many students. Keep up the great work! Thank you for your involvement and please contact me with any concerns or questions. We are starting our last week before our 2 weeks of Spring Break. This nicer weather and more chances to be outside have really helped our class focus. We have been covering a LOT of new concepts and they have picked them up so quickly. Great job!!! Thank you to all those who brought in treats for our St. Pat’s party, along with other snacks along the way. We are very appreciative. I’ve seen some great progress in so many students in all areas of curriculum but especially in harder areas like cursive, spelling and reading. Keep encouraging your students to read at home, in the car, at grandmas, or anywhere you have a few minutes. Even 5 minutes a day can help them gain ground in reading which affects all subjects in school. We will be taking our ITBS tests in April and there are quite a few areas that require independent reading where the teacher can’t help the students. Being able to read those passages and questions will be very important. Not too many new things to report for this week but please look at Jupiter grades for any assignments marked with zeros that they might need to make up before report card time. If a student has a blank due to illness or absence, it won’t affect their grade either way. Certain things are hard to make up but zeros in homework just mean they never turned any in and those CAN be done for credit. Please contact me with any concerns or questions. Fri- no homework Enjoy your 2 weeks off! We are already in the 3rd week of the 3rd quarter. Wow, that was fast. A couple big things coming up soon are our Animal Reports, due this Wednesday, March 6th. We will be presenting them the 6th-8th depending on how many we can get done in one day during Science. They are worth 100 pts and don't need to be fancy but DO need to include at least 5, neatly and properly written sentences with facts about the animal/mammal and some kind of picture of the animal. It can be printed out or drawn and multiple pictures are great too. If not completed, this will greatly affect their grade. Anyone who misses for illness, can present theirs the following week. We can't wait to see what animal everyone chose and learn some new facts about them. We will also have a St. Patrick's Day party on March 15th with more info to come. We've been working on our 10's, multiplication facts up to 12 and the students have really done great with that concept. We are still working with counting money which has been a challenge for some. We also started measuring with cm this week so if you have a tape measure or ruler lying around at home, have your child practice measuring things in inches, cm, feet, yards or meters. Our language has been focusing on verbs lately and we are learning how to know the difference between verbs that agree with the subject (Mrs. Lee walks the dog.) and verbs that don't ( Mrs. Lee walk the dog.) Quiz your student as you drive somewhere to see how well they are doing with this concept. Just a couple reminders, students need snow clothes EVERY day so we can go out as much as possible and our class could really use a few extra rulers (used are fine too) along with snack since we are TOTALLY out. Thank you for all you support of our school and your student(s). We all appreciate it. Please look at Jupiter Grades to see any assignments your student may be missing. If they are blank, it's usually ok. but ones marked with a "0" mean the student was present but didn't turn in assignment or homework. I hope your students enjoyed their break and are ready to hit the books once again. We have just started our multiplication beginning with the 10's family and almost everyone has really caught on to the patterns with 10's. We will be reviewing it as we add more numbers in each week. It is very important to learn these quickly and thoroughly as they will be needed for 3rd grade. Most of our class is doing very well with the additional spelling words which include vocabulary. The words get harder each time so practice is key. We have started our Science book and are getting ready to read about animal habitats in the near future. We will have a short "report" due on March 6th and I am sending home an instruction sheet to outline the details. It doesn't have to be fancy or cost you money but the students really like to get into the interesting facts about their chosen animal and present them to the class. It will take us a few days to get through the presentations but I know they will be great. Finally, see Mrs. Young's principal note for additional information on the Spring Fundraiser and other events coming up. If you have questions or concerns, please let me know. CCA school and daycare CLOSED Tueday February 12 due to poor weather and bad driving conditions. Welcome to the 3rd Quarter! The year is already half done and we sure have accomplished a lot already. We completed our Health unit and are now beginning with Science. We've been watching some neat science videos with experiments that would be fun to try. This quarter we will be doing an animal report where students will pick their favorite animal or mammal and find at least 5 interesting facts about the animal. They will be asked to either print out pictures or draw them on a poster board or smaller paper. They will write out their 5+ facts using correct spelling, capitalization and punctuation and will present these to the class along with their pictures at the end of the project. I will let you all know when the day gets closer. They can be looking ahead to pick their animal and finding out more about them now if they would like. We will also have a solar system project due at the end of the Science unit with more information to follow. Our Math lessons are now moving into Roman Numerals, the beginning of multiplication and more word problems. If your student is still using their fingers for basic addition and subtraction, encourage them to get faster with flashcards, a math app or a fun math game on the computer. They will need to know these facts for our upcoming state testing in April. Our class did an exceptional job of learning the concept of borrowing in subtraction which is sometimes hard to learn. Great job! We decorated our Valentine boxes on Fri. with just a couple of exceptions for those who were absent. They can finish theirs this week. Thursday is our party where students can where pj's, bring cards for their friends, a treat to share and one, small toy that they can play with during the party. This is for our class and siblings may have different things going on in their own class so we only get to play with the toy during the party after our work is completed. There are 19 kids in the class if you are making cards. Thank you for the snacks and supplies you have brought. They are much appreciated. We are starting the last week of the quarter. Report cards will go out the week of the 11th. If your child is missing a lot of work, this week will be the last week to turn in work. Jupiter grades is updated almost daily so please check on your student's status. If they missed a spelling test due to illnesses, those will just stay blank and will not affect their grade as I know some students missed a whole week. Last week's words were a little challenging for some and we are now adding vocabulary words which increases the amount of words to 20. Students must know the correct spelling of the vocabulary word too but if they mispell a word in the meaning, it will not be counted wrong. We use these words throughout the week in Phonics, Spelling and just our daily lessons but if your student is still missing a lot of words, they might need to practice a little more outside of school. We are finishing up our Health book this week and have not only learned about health and safety at home, outside, and around our community but read some great stories on character traits such as kindness, helpfulness, patience and several others. The kids all had great conversations about ways to help out and shared how they help at home with dishes, chores, helping out blind grandparents and their friends. Keep up the good work! We will start our Science book at the start of the next quarter and it will have a lot more hands-on activities we will do such as growing plants, a close-up look at live earthworms, projects on animals and space and just a lot of other incredible things God has created. We can't wait! Please contact me with any questions or concerns. I am available through email (melilee33@yahoo.com), phone/text (208-755-3046) or in person. I am usually at school by 7:30 but often have to leave by 3 to pick up my own daughter. If you need to make arrangements, I am more than happy to stay or find a time to talk about your student's academics or other topics. Tues: Read for 15 minutes and practice counting money with real coins, drawn on paper or maybe even a phone app or computer program if you find one. Wed: Study spelling words by writing, reciting, or some other way. Find an analog clock and tell your parents or guardians the correct time to the nearest 5 minutes. Thurs: Study any missed words and read for 15 minutes. Maybe time yourself to see how many words you can read in 1 minute! Just a quick note to welcome everyone back from the latest break. Hopefully it has given the students and families some time to rest up and get rid of those pesky germs that have plagued our classroom and school. Mrs. Young has tons of new information in her principal's note so please read up on all the news. We are collecting shoeboxes to decorate some time next week but students can bring them in as soon as they have them. We can always use extras if you happen to have any lying around. For all those students who missed a lot of class in the last couple weeks, please try to get through the makeup work as you are able, more for the fact of learning the new concepts so you don't fall behind. We will be reviewing some things this week for those who were gone but are moving into more complicated math subjects like: borrowing and dividing to find perimeter of shapes. Please continue to practice counting money, finding the time on the clock to the nearest 5 minutes, especially quarter after and quarter till and studying those spelling words. In language we are working a lot with nouns: common, proper, compound, plural, and possessive. Hope to see you all on Monday!!! Please email, text or stop by with any questions or concerns. Your students did a wonderful job getting all caught up from a short week and then a snow day. There has been a lot of sickness running through the classroom so if your child is missing a lot of assignments, please see me to make them up or discuss alternate activities if you haven't already done so. Hopefully they can all rest up over the weekend. We had a fun time measuring ingredients for our "no-bake" desserts and are learning more about gallons, quarts, pints, and cups. We've also added the half-dollar to our money count and students can practice counting money at home by making their own, paper coins, using plastic coins, or just drawing out coins to represent different amounts of money. We have also been doing a lot of clock work such as finding a time on the clock and then figuring out what time it would be 3 hours later or a 1/2 hour earlier. This has been a tricky subject so keep on practicing. Language has introduced possessive nouns and singular/plural nouns and that will be a focus for quite a few lessons. Keep up the great work second-graders!!! This is the last week before another break. Wow, that was fast. Please let me know of any questions or concerns. Fri- no homework.... heading off to an "off week"
We had a great, but busy short week back after break. It is always a challenge to jump back in, even for the teachers but your students embraced the challenge. We will be resuming our regular schedule of spelling and tests this week and like I've mentioned before, our words are getting harder and therefore need a little more time spent on studying. They need to be writeen out twice for Tues. homework but the other days, let them be creative and unscramble them from a pile of letters, write them in chalk, spell them into the air, etc. Making it fun helps them remember them better. We are starting liquid measurements in Math and are hoping to make a recipe we had on our reading comprehension test last week. It will be a great hands-on project and requires no oven! Some of the students are still struggling a little with basic addition so that would be a great thing to practice even as you drive around or have a few minutes while making dinner. Flash cards are great too and the dollar stores often have a lot to choose from to help students get faster. Our health lessons have been focusing on safety for the last few chapters and it would be a great thing to have your student memorize their address and at least one family member's phone number for emergencies. We had some great class discussions on how to be safe and I can tell that they've all been listening to their parents and the lessons. Great job!! We have just 2 full weeks before another "off-week" so we need to get a lot done. Students should not be taking their regular class work home unless they are not getting it done in class due to being distracted, etc. We have plenty of time to finish it so please encourage your student to stay focused and be a great listener if they are continuing to bring extra work home. Thank you for your continued support of your child's education and our classroom and a special thanks to those who have blessed us with snack. Please contact me with any concerns or questions. Happy New Year 2nd Grade Parents and Students!!! Welcome to the new year and a short week to start it off. Since there are only 3 days this week, we will not be having a spelling test but will be using the words throughout the week as a headstart on next week's list. I am including a homework packet this week that can be turned in at the end of the week or even next Monday. It's just a little bit of reivew of the math and language concepts we have been studying. Students can do a little each night instead of the usual spelling homework but reading is always encouraged every day because it is required in so many areas of education. The packet will come home with them in their mailbox. Thank you once again for all your support through snacks, school supplies, party goodies, and everything else you've done this year. We are always in need of snacks and they can be dropped off at any time. I am very proud of how well the students performed during the Christmas program. They sounded wonderful!! Now that we are past the busiest time of the year, I hope you will encourage your kids to do their best and take charge of their own learning. They have already accomplished so much and I'm looking forward to finishing up this quarter with much improvement in the coming weeks. Don't forget to check out the jupiter grades to see if your student is missing assignments in the next month or struggling in a certain area and check out the jupiter app for your phone if you want to make it even easier. We have made it to the last week before our Christmas break. The students are definitely ready for Christmas (and Hanukkah for those who have been celebrating with their family) but we have one week to get through with a lot to cover. All of the kids have been practicing their song and verse for the program and are doing outstanding. I hope they will all be able to join us at the Alter church this coming Sat. Dec.15th at 10:15. Program starts at 10:30. They have even learned parts of their song in German, something I did when I was about their age. I know it will sound beautiful. Like I've said before, our spelling words are getting more difficult each week so if your student has been missing a lot on the pre-test, they might need to study them a little more each week. It really makes a difference. We have learned about 4 different kinds of sentences; declarative (. ), interrogative (? ), exclamatory (! ), and imperative (. -gives a command). Quiz your student on these to see if they can remember them. We will have our combined class party with the 4th graders this Friday afternoon and students can bring a toy or game to share with friends while we enjoy some crafts and treats. If your student would like to bring a sweet treat or healthier option, feel free to do so. We will have our regular lunch and then snacks later. There are 19 kids in our class with about 36 total with the 4th graders but they will also be bringing some treats. Thanks to those who brought classroom snack too. It is a great help and blessing to our class. It's something that is always needed. Fri- Have a great Christmas Break!!! We had a great week last week getting everyone back on track after the long week off. We have just 2 more weeks before our next break and I am going to do my best to keep everyone focused, even as Christmas approaches. Our spelling lists are getting more and more difficult so please help your student to practice these words. If they have difficulty with certain words, it's often easier to break it down into smaller parts. The students know our special sounds which relate to many of the words and this can really aid in their memorization. Our Christmas program is also about 2 weeks away and will be on Dec.15th at 10:30am at the Alter church in CDA. Please have students there about 15 minutes early so they can line up with their class. Have a great week ahead and please let me know of any questions, concerns, etc. that you may have. I trust you all had a nice Thanksgiving and hopefully a little break from work. I really enjoyed meeting you all for conferences and sharing the great progress your student has made so far this year. We are entering a very busy time of year and have only 3 weeks until Christmas break. They will be full of learning with a lot to cover so I hope your students (and yourself) can steer clear of all the germs and illnesses and be present as much as possible. We will finish up our 3 week block with a little pj/Christmas party on Dec. 14th after we have finished our work and tests. Students may wear pj's, bring snacks or goodies to share and bring one toy or game to play with during the party time only. We will have our Christmas program the following day at 10:30am on Dec. 15th at the Alter church in CDA. It is just off Best Ave. and easy to find. Students need to be there at least 15 minutes prior to the start time so we can all get lined up. The preschool-K will be doing their program earlier in the morning so you can watch siblings on the same day. The program is free (no ticket needed) but a love offering will be taken to thank the church for the use of their facility for anyone who would like to donate. It's also that time of year again when the weather gets colder and wetter. Please have children prepared for snow each day even if it is predicted for later in the day or they will be unable to go out with their friends. They need a HEAVY coat, boots, snowpants, gloves/mittens, and a hat or secure hood. Thank you for all of the support you give our school and your student. It makes all the difference in their education. Daycare available Nov 19, 20, 21. School and daycare CLOSED Nov 22, 23 for Thanksgiving. Enjoy the break and God bless you! We will be having TWO Christmas programs for our school. Please see the details below and we look forward to seeing you there! Just a quick reminder of upcoming events in the next couple of weeks. NO SCHOOL OR DAYCARE ON MONDAY for Veterans Day. No spelling or homework this week either. We have only 1.5 days of curriculum which includes all day Tues. and a half day Wed. followed by our Thanksgiving Feast from about 11-12noon. Feel free to stop by and eat with your student any time during that time. You can also eat in any classroom if you are trying to accomodate more than one student. After the feast, students may leave with parents/grandparents/relatives or stay for daycare activities if needed. Thurs. and Fri. are parent/teacher conferences and daycare is available for those who need it. The following week (Nov. 19-23) is an off week. Daycare is available. We are starting show-n-tell on Fridays (as long as we complete our work) and students may bring one, school appropriate item to share with the class during this time. It must be small enough to fit into their cubby and can't be played with before or after school. It can be a favorite book, toy, rock, picture or something else special to them. The rest of the class will be able to ask questions and practice being great audience members. We are also working toward being able to have a pj party on the last school day before Christmas break (Dec. 14th). Students will be able to wear pj's, bring a favorite toy or game to play with, and can bring a special snack or treat to share with the class if they would like. The students know that this is a special privilege so they are going to work hard to earn it. Have a great weekend and please let me know of any concerns or questions you have about the school, classroom, grades, etc. Welcome to the end of the first quarter! Wow, that sure flew by quickly. I am finalizing grades this week so please make sure that your student has all of their work turned in by this Friday if they have missed any due to absences. We are finishing up our Social Studies book this week and the students have really enjoyed learning about how our country was formed. I hope they told you who invented the stoplight, windshield wipers, assembly line or any other inventions we discussed. We will move on to Health, next. It's a great subject to discuss during cold and flu season. Just a reminder that the school will be closed on Nov. 12th for Veteran's Day. That will be a very short week as our Thanksgiving Feast is on Wed., Nov. 14th and parent/teacher conferences are on Thurs. and Fri. If you haven't signed up yet, let me know what will work for you. There are a lot of spots left but I might be able to work in a different time if none of those will work for you. Just let me know asap. We have begun working with inches, 1/2 inches, feet, and yards in math. The students have loved using their rulers to measure things around the room. We will continue with adding 2 and 3-digit numbers, along with more word problems involving money. Encourage your child to study their spelling words several times during the week and to apply the special sounds they have learned to each word to help with memorization. Thank you for all of your support in your student's education. They are all doing amazing. Just a quick reminder that our food/clothing drive will end this Friday. Right now, we have mostly clothing and very little food. If you would like to donate a can or two of food, that would be wonderful. Just a quick note for this week. The sign-ups are up for both the parent/teacher conferences (Nov. 15th and 16th) and our Thanksgiving Feast (Nov. 14th). Please let me know if you can't find a time that will work for you and I will see what I can do. Please note the change in date for our Christmas program too. It will be on Dec.15th instead of the 8th and please read the principal note each week to hear more on upcoming events. The fundraiser was a big success and Mrs. Young will have the total figures ready for us soon. We are also starting a food/warm clothing drive on Monday. My class has already received a flyer listing some of the ideas for donations. I would love to see my pickup filled with goods for the food banks and homeless in our area. Any little bit helps those who are less fortunate in our area and it's a great lesson to our children on giving. Help your student to keep working hard and practice those spelling words. This week has a review list and should be much easier but practice is very important. Remind them to bring a water bottle each day and a warm jacket for those early mornings when it is getting quite cold. Thank you for all you do to see your student succeed. We are nearing the end of the 1st quarter and your students have done exceptionally well in all areas. We will finish up our Social Studies book this quarter and then begin in our Health book. The students have really enjoyed reading about our first Americans, pioneer travel and our Founding Fathers. We will finish up learning about some great inventors and how their creations helped shape America. Math continues to focus on counting money, counting by 2's, 5's, 10's, etc. which will come in handy when we start multiplication. Encourage your child to keep practicing at home by counting money or drawing pictures of the money they would use for a given price. They have really enjoyed that at school. We all had a great field trip and hope the parents that were able to go enjoyed their time too. Our fundraiser ends this coming Friday so keep on selling until then. It's a close race between boys vs girls. The parent/teacher conference sheets are already hanging up right outside our classroom door for those wishing to get a start on planning. Dates are Nov. 15th and 16th. Please let me know if you are unable to make any of those times and we can work together to find a time to have a conference outside of those hours. I look forward to seeing you all then. Have a great weekend and let me know if there are any questions or concerns. Welcome back from our first "off" week. I trust all of the students had a little mental reprieve from school work and are ready to jump back in. We will have a busy week like usual but will get to finish it off with our annual pumpkin field trip to Carver Farms on Fri. at 12:30pm. Cost is $6 for each student and for any adults who wish to purchase the same produce that the students get. Otherwise, parents or family are free to drive on over and join us for this fun time. Please remind your student to dress appropriately for walking through fields of dirt and twisty vines along with a possible chilly day. Please make sure money and permission slips are in to their teacher by Wed. of this week. We are really sailing through our math curriculum and all of the students are working very hard. We will continue to work on counting money, knowing time to the hour and 1/2 hours and learning temperatures (three great things to practice at home). Our spelling words are starting to get more challenging so I encourage you to have your students practice them several times during the week. Please see the principal note for all other upcoming events and information. See you all on Monday and please contact me with any concerns or questions. LOTS OF FUN THIS WEEK!! MONDAY – OCT 15 – FUNDRAISER KICK OFF: Please help with our fall fundraiser. Money goes towards outdoor playground, parking lot improvements, and improved Internet to classrooms. Sale runs Oct 15-26. We are selling Yankee Candles, Butter Braids, World’s Finest Chocolates, and CCA Clothing apparel. Kids earn Penguin Cash to go shopping at the school prize store at the end of the fundraiser. They can bring Candy Tickets each day for every $10 in product they sell. It’s also Boys v. Girls and the winning group gets to select 3 teachers to decorate as human Christmas cookies. *****NOTE***** This is a change from the date in the school handbook/calendar. The correct date is this Wednesday, Oct 17. We have an off week Oct 8-12. There is no school. Enjoy the break! See you back Oct 15. We are almost to the half-way point in the quarter and I have seen some wonderful accomplishments with this class already. They are a smart bunch of kiddos. We have finished up the review lessons in Math and Language and concepts will start to get a little more difficult as we learn new things each day. I encourage you to look over your child's work that is brought home and see if there is anything they might need to review in the evening as they study spelling words or read. Next week will be an "off week" (Oct. 8-12) but daycare is available if needed. The following week will be the start to our Fall fundraiser and our pumpkin farm field trip on Oct. 19th at 12:30pm. Cost is $6.00 per child and the same for any parent or family member that would like to bring home the pumpkins, corn, etc, otherwise the parents are free. In our Math lessons, we are concentrating on counting money, counting by 2's, 5's, and 10's (beginning at any number such as 14, 52, 125, etc) and are now working on temperatures. We have also learned time to the hour and half hour so try to quiz your student on that if you have a clock around home or see one in a store. I am always available for questions or concerns so please don't hesitate to email, text or call or stop by. (208-755-3046, melilee33@yahoo.com). Please see Mrs. Young's principal note for all other important information. Thurs- study any missed words from pre-test and read for 20 min. We have had a wonderful start to the year in the first 3 weeks. Your students have been working very hard and we have had 3 straight weeks of perfect homework. Nice job! I can tell just how hard your student is working. As your students study their spelling words, ask them if they can find any special sounds like "ck in duck", "e in me", "pr/ay in pray". I will try to post a picture of the charts we are working on soon so parents can learn which new ones we have learned as a class, especially for newer students who haven't had special sounds before. In math, we are practicing counting money with pennies, dimes, dollars and ten-dollars and will soon add the nickel, quarter and $5 bill. Have your student practice counting dimes and pennies together, even they are out of order. That makes it more challenging. We are also learning about 3-D shapes including the sphere, cone, cube, pyramid, and cylinder. See if they can find something around the house in that shape. For all other school news and information about upcoming events, please see Mrs. Young's principal note. Have a great day and let me know of any concerns or questions. We are already into week 3. Wow, that just flew by. Your students are doing awesome and we have had some great discussions in Social Studies and have learned about other characters from history too. This week's lessons will really start getting out of the review and into a lot of new content. I am proud of how hard this class has worked, especially with turning in homework and studying hard for their tests. Tuesday is PICTURE DAY so bring your smile and your picture envelope (orders are also avaiable online). Please make sure to have students arrive on time for school as the pictures will take place promptly in the morning, class by class. Please see Mrs. Young's newsletter for all other important information from the principal. We had a fantastic first week of school and are really getting into the swing of things. I think everyone is settling into the classroom and learning what is expected of them this year as second graders. Our first spelling test went very well but studying IS key, as the tests will get harder in the near future. I can see we have some great readers in our class and I was able to get them divided into reading groups after listening to each student read. We will hopefully be able to meet several times a week as a group during class. I'd really love to see every student have their own whiteboard if possible because we use them a lot, especially in math. It allows me to see a large amount of student responses to answers in a short amount of time. If you need help getting one for your student, please let me know. This Tuesday evening from 5:30-6:30pm will be our Open House. Feel free to come on in and see your student(s) classroom(s), meet the teachers and staff and see some of our first-week art we have hanging up around the room. If you can't make it but have any concerns, please text or e-mail me (208-755-3046, melilee33@yahoo.com). I look forward to another great week and please see Mrs. Young's principal note for all other important school information. MON: Write spelling words 2x each and turn in on Tues. Welcome to 2nd grade, parents and students!! Every week I will post our new spelling list, homework, important information about upcoming events and class needs on our class page but please see Mrs. Young's Principal Note for all of the extra school information. This will be a short week but we WILL have a spelling pretest on Thurs. and a final test on Fri. for anyone who missed words on the pretest. There will be an additional newsletter sent home with more specific information about our class but this will give you a glimpse of what is expected. I can't wait to see everyone on Tuesday and if you are here before me, please feel free to set supplies on their desk. We will sort them as a class later. Watch our CCA 2nd grade facebook page for other updates. This week is not a curriculum week (report cards are already finished) so attendance is optional. We will be doing cleaning, taking the decorations down, etc. on Monday but students are welcome to help or just come and hang out. It is a half-day for students unless they need to stay all day for usual school hours. Tues. is yearbook signing from 9-10 and Wed. is CCA Olympics from 9-11:30. Thursday will be a day to help with deeper cleaning if students or parents want to help throughout the school and Friday will be financial check-out/report card release through Mrs. Young or Ms. Mindy. Thank you for a wonderful year!!! I will miss these kids as they move on to 3rd grade but I am glad I will get to see most of them around school next year. We've made it to the last official week of school and the end of the curriculum!!! We will finish up our books and work this week and clean out our desks for the last week of school. No spelling lists or spelling tests for this week along with no homework. There is one remaining Math test on Wed. Friday is kindergarten graduation and siblings may attend as long as they are in the care of parents or guardians. The last week (Aug. 6-10) will include yearbook signing, CCA Olympics, cleaning day and daycare in the afternoons. It is not required for attendance but students may come in the morning and then leave at lunch if they would like to be involved in the activities. Report cards will be available at financial check-out with Mrs. Young or Ms Mindy. Thank you for allowing me to spend the year with your special students. I hope they have had a positive and enriching experience and I know they will do great in 3rd grade. Please text or email me with any questions about the last 2 weeks and see Mrs. Young's principal note for additional information. The countdown has begun. There are just 2 weeks of curriculum left and then the final week of extra activities like yearbook signing, school olympics, clean-up day, etc. Most of what we are learning now will be review with just a couple new concepts in each subject. Please make sure all work gets turned in before that last week of school when report cards will be finalized. See Mrs. Young's principal note for all other upcoming activities and dates. Our class has earned it's banana split/icecream sundae treat and we will do that the Thursday before kindergarten graduation so if siblings will be at graduation, they won't miss their icecream. That following Friday will also be the day to clean out desks and take all supplies and books. We have just 2 Spelling tests left and instead of regular homework, have students just study their words and enjoy the beautiful weather. They don't have to turn in any homework this week or the last week of regular school. Get outside and do something fun. We are nearing the end of the quarter and the school year and the your students' progress is amazing. A lot of what we are studying is review mixed in with some new concepts. We've talked a lot about nouns, verbs, adjectives and adverbs in Language and will continue to identify those in sentences and think of ways to make our writing more interesting. The main focus in math right now is getting our times and division tables down solidly so the students can advance to the next level of both in 3rd grade. Please continue to practice the 0-6 times tables up to 6x12 and then the inverse or division of the same facts. *****NO SWIM DAY THIS FRIDAY**** I know there are vacations planned and other activities this summer so just let me know if your student will be gone for tests, etc. and we can take them early or make other arrangements. Have a great week and encourage your student to stay focused for a few more weeks. They are almost 3rd graders!!! We are already about half way through the last quarter and nearing the end of the school year. The students have made such great progress in all subjects and continue to surprise me with their quick minds. As we look ahead to entering 3rd grade, our class is going to continue to focus on knowing our math facts without having to count on fingers. This includes addition, subtraction, multiplication and division. Counting by 2's-6's all the way up to 6x12 is great practice. Your students did a super job on their solar system projects and we all enjoyed learning more about the different planets. They can take them home if they have not already. Our class had a great time at the beach and did very well showing others a Godly example of good behavior. Well done 2nd Grade. The Spelling lists will be sent home on Monday as some students are starting the 3rd grade spelling lists and I didn't have a copy on my computer. Tues- practice counting out change ex: Mason has $14.27 and bought a baseball bat for $11.36. How much change will he receive? Kids should bring the following items: swimsuit, towel, bag for wet clothes, backpack, sunscreen, AND RED SHIRT (if you bought a camp shirt and Mrs. Young has it, that will work great! She will pass them out before we go to the beach). If you have an old camp shirt, you can wear that. If you want a camp shirt, see Mrs. Young. I hope you all enjoyed some of our beautiful weather the past 2 weeks. It looks like it will be a HOT week coming up so just a reminder that students need their water bottle everyday and sunscreen to keep them safe. We are entering the home stretch for the year but still have a lot of content to cover. This week we will continue to focus our Math lessons on using multiplication and division in different areas along with applying money sense to word problems such as giving change. These are good things to practice throughout the week. Beginning on Monday and continuing through Friday, we will be doing our oral reports on our chosen planet/sun during the afternoon Science lesson. The projects will stay at school through the week so others can see all the hard word that went into them. I will keep them in the classroom until Friday when they will moved into the hall for other classes to see and then taken home on Friday. I can't wait to see the creativity that went into them. Thank you for supporting our classroom throughout the year. Your involvement in your students' education is so important and so appreciated. If you have any questions or concerns, please feel free to contact me. Text is probably the quickest at 208-755-3046. Thurs: Study any missed words from pre-test and practicie division facts for 72/6 and smaller. Friday: All of the above! Please bring water bottle and sunscreen. Hats are encouraged. Wear active clothing and good RUNNING shoes (that means no sandals or flip flops.) ?? we will be outside most of the time! No school the weeks of June 4-15, 2018. Daycare is available if needed. Please call the school office for details and arrangements. Enjoy the two-week break! This is a very short week ending with the Father's Day Program/lunch on Friday. We will be performing our song after some fun and games and then will enjoy a great BBQ lunch with the dads. Students may leave after the BBQ or can stay if daycare is needed. Our class needs to bring 15 individual drinks. Please let me know if you will be gone for this event so I can pick up extra drinks for those families (K-7) who will be at the BBQ. We will not have a spelling test this week but please continiue to work on multiplication and division facts. Counting by 2's, 3's, 4's, 5's, and 6's up to 6x12 is a great help. Practice reading or work on your science project too. No homework this week to turn in. See Mrs. Young's note for more school information and have a great, long weekend. See you on Tues.! We have begun our last quarter and it is going to be a busy one both academically and with the many activities we have going. This Friday is a "free day" with no school for the long Memorial Day Weekend. Daycare IS available if needed. That means that we will have a short week for work again but WILL have a Spelling test this week. The pre-test will be on Wed. and the final test on Thurs. The following week we will not have Spelling words because it will only include 3 academic days and then the Father's Day program on Fri. June 1st. The students have all done well these past 3 quarters and I hope you can encourage them to stay strong to the end of the year just as I will. Thank you to all who took time out of your busy days to come to conferences. Your support of your student's success really shows! If you were unable to attend, please stop by to get your student's report card as it has important information about their Science project, Silverwood ticket and Mother's Day pictures if you ordered any. Thank you for all your support this year for our classroom. In many ways you continually to bless our class. I hope you all enjoyed your Mother's Day Program and brunch and thank you so much for your part in making it happen. The kids did great and I think they all had a lot of fun. This week is a short week; Mon-Wed. and ends with teacher conferences on Thurs. and Fri. That means there is no school those two days but daycare is available for those who need it. There are still lots of spots left for conferences and if none of those work, please let me know and I will see what I can do. We will be starting the last quarter on Monday and are going to really concentrate on our multiplication and division facts along with subtraction involving borrowing to the 1000's place. Since there will be no Spelling list this week, I would like students to practice their facts and it would be great if you (or them) could create some subtraction problems like: 5211-3875= (vertically) and solve them as part of their homework. It does not have to be turned in. For fun, they could check their answer on a calculator. I will also be letting you know more about our last Science project that covers the Solar System and will give you a handout at conferences. Students will have lots of time to complete it but maybe they can start getting ideas about a model they can create. We've had ones made out of a hanger and paper, styrofome balls, recycled boxes and containers, fruit and just about everything you could think of. Pintrest is a great place for ideas. They will also be choosing one planet or the sun to research. If you have questions or concerns, please don't hesitate to call, email or text me. ITBS testing went very well and I can't wait to share the results with you at conferences which will be May 17-18th. If you can't make it, please let me know and we can work something out. Mrs. Young has a lot of info in the Principal's note concerning the Mother's Day Program and the 10th Anniversary celebration for CCA. Our class is in charge of bringing a dozen, single juice drinks each for the Mother's Day Brunch. They can be dropped off in our classroom any time this week. Thank you for helping out. If there are any other questions or concerns, please don't hesitate to ask. Tues.- Practice Spelling words and practice multiplying and dividing by 5's and 6's. We will be having VBS (Vacation Bible School) during our off-week (April 30-May4) for students K-7th grade. If your child will be at the school for daycare, there is a $15 fee for a camp t-shirt that will be used throughout the spring and summer off-weeks. If you do not currently pay for daycare but would like your child to participate in VBS, the cost is $50 ($10 per day) plus the cost of the t-shirt. I apologize for the problems with accessing the newsletter on the website. I believe the link has been fixed but I will continue to post it on facebook too. We will not have any regular curriculum this week, including Spelling lists so let your kids enjoy the great weather. We will be starting our ITBS testing promptly in the morning each day from Mon-Thurs so please make sure your student is here, well rested, on time and eats a healthy breakfast beforehand. Friday is not required for attendance but daycare is available with their teachers. If you have any questions, please ask and look for any additional news on Mrs. Young's principal note. I will be out of town this weekend so am putting this up a little early.Thank you so much for your support of your students as well as myself. We all appreciate it. We are nearing the end of the quarter so we are concentrating hard on getting all work turned in and staying focused this last week before our ITBS testing. All of your students are doing great and I know they will do great on the tests next week. Just a reminder that attendance for the next few weeks is very important along with lots of sleep and a healthy breakfast each morning. Thank you to those who have brought in needed items for our class. It is greatly appreciated. Please let me know if there are any questions and please read the principal's note for additional school news. I hope you enjoyed your two weeks off. We just have 2 more weeks of curriculum before our ITBS testing so I encourage all students to be in class as much as possible although I know there are emergencies and illnesses that come up throughout the year. We had a fun time hunting Easter eggs at school and learned again, the true meaning of Easter from Mrs.Wilson's lesson. The students did awesome on their animal projects and we will finish up the last couple this week and continue on in our animal studies in Science. The students are working on multiplication and division in Math so feel free to quiz them in the car, or anywhere on the facts up to 6x12. They are really picking it up quickly. We are moving quickly through the 3rd quarter and it's been great to see the growth in so many areas, especially reading and math. Keep up the good work. Please email or text me with any questions or concerns you have in the following month. If it's time sensitive, please call the school as sometimes I can't check my email or phone for a while when I'm teaching. Thank you for all of your love and support. April 2-6 is an off-week for the students. We will be holding a drama camp for interested students grades K-7th during this week. Rehearsals are Monday, April 2 through Friday, April 6 from 8:30-11:30am each day. The performance is THIS Saturday, April 7 at 10am at the Altar Church in CDA. Students will need to be at the church by 9:30am for costumes and staging. If you cannot commit to the performance date, your child may not attend. We are moving into our last full week before our 2-week Spring Break. We will be finishing off the week with an Easter Egg hunt on Friday morning so kids can bring a basket or bag to collect eggs if they have one or we can make one at school. That will happen Friday morning and last for about 15 minutes. Your students are all doing very well and have really improved in many areas, especially handwriting. I encourage each of them to do their best, even if it isn't their favorite subject. Their animal projects are due on Wed. and we will be sharing them on Wed. and Thurs. during Science (and Friday if needed). If you have any other questions or concerns with their school work or other areas, please let me know. Thank you for all the support you give our school whether it is donating snacks, supplies, helping out in classrooms or anything else you do. We really appreciate it. This week will be a regular curriculum week but we will enjoy a little fun on Friday for St. Patrick's Day between our work. If anyone would like to bring snacks to share, they are welcome to and thank you for all of the regular snacks that have been donated. We are concentrating on multiplication, counting money, telling time (hours before and after a certain time too), and borrowing to the 100's place in subtraction. Your students are amazing at picking up all of this new content. Please have them continue this at home for practice and it can be part of their reading homework, etc. The school could really use small, wrapped candy and eggs for our Easter egg hunt. Hershey kisses, starburst or anything that can fit into an egg would be great. Have a great week ahead and please let me know of any concerns or questions that may arise. Just a quick note to let you know what's going on in the next couple of weeks. We are welcoming a new student to our class named Emma. I hope she will feel the love from all of us and our families. This week we will have a special speaker to tell us about plant DNA. Thank you Mrs. Leiser for offering to expand our knowledge about plants. On the 16th we will have our St. Patrick's Day party during our regular class. Students can bring a treat to share if they would like and can dress in green. We are really working hard on our multiplication and Roman Numerals to 30. Keep up the good work, Kiddos! Please let me know if there are any questions. Welcome back from the off week. We have a lot to cover in the next few weeks, especially in Math. We have started a unit on multiplication and students need to really work on being able to count by 2's, 3's and 4's to begin with. We will be working on problems like 2x2 up to 2x12. Have kids practice these while they ride in the car or anywhere else they wish. It will really help them in the long run. The fundraiser packets need to be in early this week so Mrs. Young can get everything ordered and please see her principal's note for other information. Feel free to stop by questions and concerns or text or email. We have finished up the second quarter already and are half- way through the year. Report cards will be sent home by the end of the week. Many of your students have an A+ in most subjects but sometimes space is limited in the tiny boxes and I can't fit in the "+" every time but feel free to look at Jupiter Grades to see individual assignments, etc. We completed our Health unit and are now beginning Science which the students are happy about because it involves a lot more hands-on projects and experiments. We will be doing one, big, solar system project by the end of the quarter but I will let you know more about that when the time gets closer. Our Valentines party will be in the afternoon on Wed. after we have finished our work and tests for that day. The students have been decorating boxes and can finish up before Wed. if needed. They can bring cards for their friends and a treat to share if they would like and we are still in need of regular snack for our classroom. Thank you to those who have helped out with that many times. We appreciate it! We are down to the last week of the quarter. All missing assignments need to be turned in this week although I think our class has very few. Yay!!! We will be having our Valentine's party on Feb. 14th after our regular curriculum. Students can be making some kind of container or bag to hold their cards at home or can use paper and supplies at school. I have a couple of extra shoeboxes and most shoe departments will hand out free boxes if you ask. Students can bring snacks to share that day if they would like but they will still need a lunch please. All other important dates coming up will be in Mrs. Young's principal note. Don't forget the whole school is closed on Feb. 19th for Presidents Day. If you have any questions about anything, feel free to call, text or email. This is the 3rd try at loading this so if any partial newsletters show up, I apologize. The site keeps erasing everything when I am on the last few Spelling words. Technology at its finest. We are in the last two weeks before the end of the quarter and I hope the students all enjoyed their week off. It's now time to start working on borrowing in math, counting more money and learning about the different types of nouns. We have lots to cover so I hope we can all stay away from the many germs out there and stay in school. Mrs. Young has a lot more information in her principal note so please take a look at it too. We will be having a Valentine's party on Feb. 14th so if your student would like to start decorating a box or any other type of "Valentine collector", they can get a head start. Our homework will continue in the same manner but try to fit in a few minutes for students to practice counting money or even counting by 10's, 25's, 50's etc because this extra practice will help them become more proficient in those skills. Tues- Read for 20 minutes- Get those Silverwood sheets filled! I hope you all had a great weekend. We are into the last week before another break. We will be continuing our work on measurements, counting money (including the 1/2 dollar) and have also been working on scale maps and shapes and how to compute measurements using the scale drawings. We've also been learning about possessive nouns which include the apostrophe and plural nouns. Since we live in ID or WA, we talked about how most of the big game around here are nouns that don't change such as deer, elk, moose (not mooses as most of them answered on the last test lol). I will be putting in our Scholastic Book order on the 18th this week so if anyone else would like to order online or send in their money and slip to me, please let me know by then. I have an order or two ready to go. Please remind students to bring all 5 things and their water bottle. The students are all settling back into the routine after their long break and we were able to accomplish a lot last week, even with the short week. We are continuing work in Math focusing on measurements of cups, pints, quarts and gallons along with telling time to the closest 5 minutes. Please help your kids practice with clocks and continue to work with counting change. We are adding the $.50 piece this week along with adding to the thousands place in addition. The students have been picking up these new concepts very quickly. They are some smart cookies! If you would like to order anything from the Scholastic Book Club, we will be turning in the final order on Jan. 18th before our next break. You can order online or on paper and our class code is RJHFN. Thank you to those who have ordered as this also helps our class get new books. Please remind your student to bring all 5 things when it is snowy out. Several have been forgetting snow pants, boots and even water bottles and they don't enjoy sitting with the preschool while everyone else goes out for recess. We have all enjoyed the fun sledding times. Our Spelling Lists are getting pretty challenging so make sure your child is practicing at home and writing them correctly when they do write them out. Thank you for all you do for your children and for our school. I can really tell how dedicated you all are in helping your child succeed. If you have any questions or concerns, please feel free to call, text or email as I once again have a working phone. I apologize to those of you who had a very delayed response from me due to technology. Wed: Write or recite or choose another way to practice Spelling words for the pre-test on Thurs. Welcome Back! Greetings to all of our 2nd Graders and their parents and a Happy New Year to you all!! This is a short week this week but we will be covering our regular curriculm including Spelling tests so we hope your students are ready to study hard. We will be starting a unit on measuring with pints, cups, gallons etc which should be a fun along with continued work on fractions, money counting and writing great sentences. We are having some interesting weather lately so please make sure your child has all 5 things needed to go outside which they can always leave at school if needed. Don't forget a water bottle each day and of course a warm coat; no sweatshirts. Please text, email or call with any questions or concerns. Thurs: Study any Spelling words missed and read for 15 min. This is the final week before Christmas break and we can feel the excitement in the air. We still have a lot to get done this week and please see Mrs. Young's principal note for all of the added information. Make sure your student has turned in their yearbook slip by Wed. You don't have to purchase one but we need to know how many to order. 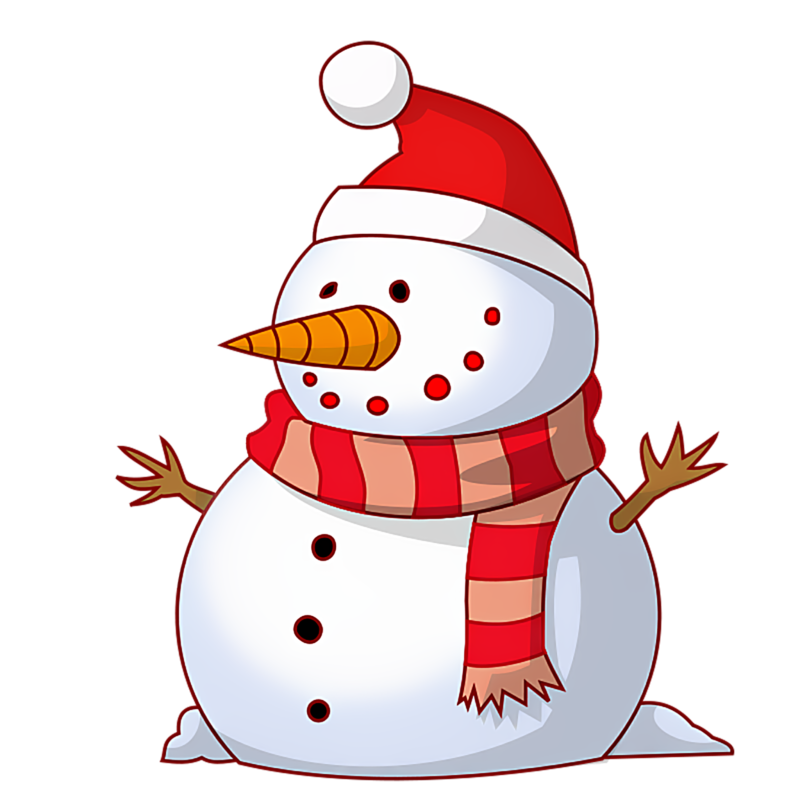 We will be doing some fun activities throughout the day on Fri for Christmas but will still be doing curriculum between those activities. If your child would like to bring any kind of snack to share with the class, they are more than welcome. The students who are working on the more advanced Spelling list have been doing great. I will be monitoring their progress to see how they are faring or if it is too difficult. So far, I can tell that they are all studying hard and doing the homework. Many of them have told me they now want HARDER words, ha ha. If you have any questions or concerns regarding anything that is going on in the classroom, please let me know at 208-755-3046 or melilee33@yahoo.com. I currently have no voice as of Saturday but it will hopefully return by Monday or it will be a very quiet day. Tell your kids thank you for being so kind on Friday while I sounded like a croaking frog. Mon- Write Spelling words 2x each and turn in on Tues. I can't believe we are already into Dec. The year has flown by quickly. We are nearing our Christmas break which begins Dec. 16th but we have a lot of curriculum to cover in the next two weeks. Please try to have your student at school each day, barring illnesses and emergencies, so they don't miss anything important and fall behind. We are continuing our studies on fractions such as 1/2 and 1/4 along with counting money and writing those amounts so these would be great things to let your students practice at home or even when you are driving around town. Have them find 1/4 of 12 pennies or 1/2 of 16 q-tips, etc. Any kind of item works great. We are also learning about teeth in Health and would love for a dental hygienist or assistant to come talk to our class about teeth. If you are one of these people or if your dentist office has someone who talks to schools, we would love to know. The students did very well on their Spelling tests and we will continue this week with the 2, separate lists. We just call them Spelling 1 and Spelling 2 and want to make sure that students are not bragging or putting others down according to which list they are on. List 1 spellers are on the regular, 2nd grade list and List 2 spellers will be on the more challenging list. If you aren't sure which list they are on, please text or email me (208-755-3046, melilee33@yahoo.com). I have moved several of them up to the harder list after additional conferences last week. They need to write the Spelling words for the list that they are studying so they will be prepared for the test on Thurs/Fri. Our classroom is out of snack and could really use crackers, pretzels, cereal or anything else that can be easily stored for at least a few days. If you can donate any, it would be greatly appreciated and thank you to all who have already donated. I hope you all had a wonderful Thanksgiving holiday and that you were able to enjoy a break with your families. We are jumping right into a very busy season and have a lot to accomplish before our Christmas break. Our Christmas program is Dec. 2nd at 11 am. Please see Mrs. Young's principal note for all of the details along with other upcoming events. I want to thank all of you for taking the time out of your very busy schedules to discuss your child's progress during conferences. It was great to meet with you and if you were unable to attend and still want to meet for a conference, please let me know. I will now be displaying 2 Spelling lists on our Facebook page and CCA newsletter. If I haven't talked to you during conferences about your child switching to the alternate list, then they will be studying list 10. We didn't have a test during the short week before Thanksgiving so the weeks won't line up with the Spelling list number anymore. Those of you that are going with the alternate list will be on list 16 this week. Thurs-Read for 20 minutes and study any missed Spelling words for test on Fri. This is a short week this week so things will be a little different. We will continue with our Phonics/Lang. and Math lessons but there will be no Spelling list or Spelling homework this week. I would like students to read each night if possible as this is such a benefit to them in all subject areas. Wednesday will be a morning of review activities in Math and Language with the feast starting at 11:00 am. If you would like to drop food off in the morning, that is fine and we will be ready for all of you by 11am. The Thanksgiving feast will go until about noon at which time you are welcome to take your kids home for the long holiday weekend or they can just hang out at school until their regular pick-up time. We could still use more turkey and mashed potatoes if anyone is willing to help with that. Thank you all for signing up. Just a reminder that daycare is available on Thurs. and Fri. if needed but there is no regular class as all teachers are in conferences. Report cards will be sent home as soon as Mrs. Young has them finalized. Conferences are Thurs. and Fri. for those of you that have signed up and I look forward to sharing your students' progress with you at that time. Don't forget that students need a heavy coat, gloves and hat, even if it isn't snowing and boots and snowpants if there is even a chance of snow that day. Don't forget the water bottles too. Have a great weekend and see you all on Monday!! Greetings 2nd Grade Parents and welcome to the end of the 1st quarter! It has really flown by quickly. All of the students have continued to have excellent scores on their tests and class work. I am very impressed with their knowledge even beyond what they have learned this year. They are eager for knowledge which is so wonderful to see as a teacher. Thank you to all how have signed up for our Thanksgiving feast and conferences and for those who brought treats for our pizza party. I was not feeling my best for our party but the students did a great job getting their work done and then having fun with their show and tell items in the afternoon. We are definitely into the winter weather and sweatshirts are no longer able to keep us warm when it is in the 20's and 30's outside. If your child does not bring a winter coat and the other 4 items needed for snow play when necessary, they will not be allowed to go outside at all. Gloves and hat are great even when it is not snowing. Layers are the best in Idaho because we never know when the weather will turn during the day. Thanks for your cooperation in this. If you still need to sign up for our feast or conferences, please do so and let me know if you would like a conference run-down through e-mail if you are unable to attend. Thank you for all of your support. We are nearing the end of the first quarter and have covered a lot of ground in the last 7 weeks. I am very pleased with the progress these students are making and know much of it is due to the great foundation they have received both from other teachers and from support at home. We will be finishing up our 1st quarter curriculum this week and next week so it is very important to remind your students to turn in their homework and other work each week. There may be a few missing assignments here and there due to absences but I have done my best to keep everyone caught up to the best of their ability. Since the students have worked so hard in Reading, they have earned their first Pizza party which will be this Fri.(Nov. 3rd). It will just be an informal time of pizza (I will provide it for lunch), pajamas, and one item/toy for show and tell. We discussed bringing items that are small enough to fit in their cubby or on a desk and they must be school appropriate. They can wear pj's if they would like but they must be warm enough to be worn outside for recess and all students must have shoes. If students do not like pizza or can't have dairy, etc,, they are free to bring their own lunches and snacks. Don't forget to sign up for conferences and our Thanksgiving Feast. The sign-ups are just outside our door. If you are unable to make any of the time slots but would like an email or printed copy of their progress along with their report card, please let me know. Thanks for all of your support and care. Fri- No homework but keep reading!!! Thank you so much for all the support you provide your students and teachers by way of completed homework, helping on the field trips, providing snacks and supplies, etc. We couldn't do it without you! We are entering the last 3 weeks of the quarter before parent-teacher conferences. If you haven't signed up yet, the sheets are just outside the classroom and spots will fill fast so if you don't have a very flexible schedule, sign up quickly to get the time you need. Times are available on Thurs, Nov. 16th from 7am to 4pm and on Fri, Nov. 17th from 7am-3pm. A few spots are already filled but most are still available. Your students are still doing a topnotch job in their studies. The concepts are getting harder but they are all picking them up quickly. A great activity to let them do at home is to count your loose change. We have been focusing on pennies, nickels, dimes, along with 1, 5, and 10 dollar bills. This practice will really enforce their ability to count the coins quickly and accurately. Our sign-ups for our Thanksgiving Feast will be going up soon too. I can't believe that time is quickly approaching. It will happen on Nov. 15th around 11am for those who need to plan ahead so they can attend. We will be doing work in the morning that day, followed by the feast and then your children are free to go with you if you would like but are welcome to stay for daycare the remainder of the day if needed. The week following the feast and conferences is our next, "off" week (Nov. 20-24) for our Thanksgiving break. Daycare is available on Mon-Wed that week only and closed for Thanksgiving Day and the Friday following it. Thank you for all of your support and please see Mrs. Young's principal notes for additional school information. Thurs- Read for 20 minutes and practice any missed Spelling words from Pre-test. Fri- No Homework but feel free to READ, READ, READ! We hope all of your students enjoyed their little break from their studies and are ready to jump right in where we left off. We have been making huge strides in our learning and it's so exciting to see how fast they can pick up the concepts. We will have another busy week but will end it with a fun-filled trip to Carver Farms for our annual pumpkin trip. All students will need to have a permission slip signed and returned along with $6. If there is problem paying for the trip, please let me know. Parents are welcome to go along on the trip in their own vehicles and will only be charged for any produce they want for their own homes. We will be going at 12:30 pm and students are free to leave with their parents from the farm or when we return to school as long as they have checked out with their teacher. Let's pray for nice weather and some sunshine or at least no snow! Make sure students wear appropriate clothing for stomping around fields in the chilly weather. Tennis shoes or boots and a coat/heavy sweatshirt would be the best. Please see Mrs. Young's principal note for more information. We will continue our math lessons on money, temperature (especially the freezing point of water) and clocks so quiz your students in the car or at home on these things or have them count out money at the store. It's great practice and it's fun for them to do. Our book orders should be in this week and will be passed out as soon as possible. If you ordered books as a gift, I will try to leave them in the office, marked with your name so your student doesn't look in the box. Thurs- Read for 15-20 minutes and study any Spelling words missed on the pre-test for the test on Fri. Thank you for all the support you give our teachers and school. We all appreciate it! Please let me know of any concerns or questions through text, email or phone calls. This is the final week before our first, "off week". We have already covered a lot of ground in our first 4 weeks. Your students are doing excellent and have a real zest for learning. Jupiter grades should be current and please let me know if you have questions about anything you see on there or if you have problems accessing your students' grades. If your student has a "0" in the Spelling homework section for week 4, it means that they haven't been turning in the Spelling words written 2x each on Tues. morning for Monday's homework assignment. Please remind them that it is important both for keeping their good grade and for learning the words, especially as the words get harder. We've been working a lot on Interrogative (?) sentences and Declarative (.) sentences so feel free to quiz your kids to help them know the difference. Math has included lots of money practice with pennies, dimes, dollars and ten dollar bills. Have your student practice counting these coins and bills for you if you have a little extra time and they will soon be balancing the checkbook. Just a reminder that students need a water bottle and jacket or sweatshirt for the early mornings and colder weather that is on it's way. Please let me know if there are any other questions or concerns. Friday- No homework but feel free to read over the weekend. We are already on week 4 and I am very pleased with how well everyone is settling in and getting down the routines. This class is VERY sharp and picks up concepts very quickly. We've had a lot of review but are adding new things each day. I've stressed to each student the importance of taking their time and turning in neat, quality work instead of rushing through to be first and making careless mistakes or having sloppy work. Please remind them of this as they do homework or as you look at their work they bring home. Friday- no homework but reading over the weekend is recommended. We took our first Math and Cursive tests this past week and everyone did very well. Keep up the great work. Remember as the weather is turning colder, especially in the mornings to bring a sweatshirt or jacket because they can't play outside without one if it is below about 60*. Here are the Spelling words for Week 4 which can also be found on our Facebook page. Thank you for all your support. Please let me know if there are any questions or concerns and please see Mrs. Young's principal note for other important school information. Our first two weeks have been awesome and I can see that this class is going to whip through the first quarter of lessons. They have already shown me just how much they know and many are way ahead of the average lesson. I had to slow them down when they started analyzing the addition facts to show negative numbers. That has to wait a few years but it's great to see them stretch their minds. This week will include our first Math and Cursive test along with the regular Phonics and Spelling Tests. The lowest grade on our first Phonics test this week was a 94%, WOW!! My main goal for this first quarter is to make sure everyone is reading on grade level so that they can easily read the directions on our different papers for themselves with minimal help. Reading at home is so important because parents, friends, and other relatives can read 1-on-1 with them and help them out, where as the teacher has to spread out that kind of attention and may only get to meet with their group 2 times a week. Starting with books that they can easily read and then working their way up is a great help. If they have to sound out too many words, it becomes frustrating for them. If your student would like to borrow a book from our class library, they are welcome to do that at any time. Sept. 19th is our individual and class picture day. We ask students to dress appropriately and be on time as the photographers move pretty quickly and can't wait for missing children for a class picture. Buying pictures is always optional but we would love to have everyone included in the class picture. Don't forget to check out all of the school news on the principal's page and watch Facebook for additional information and class news and pictures. Here are our new Spelling words for week 3. Have a wonderful weekend and see you all on Monday morning. Don't hesitate to send a text or email to me with any questions or concerns. We had a great, first week and I am so excited to see how much your students already know. I have updated the Jupiter grades and you are able to access them with your personal account information which Mrs. Young provided for you. If you have questions about it, please ask Mrs.Young or myself. Our first Spelling test was mostly review and the words will get harder quite quickly so I encourage all of the students to study each week and write words out a couple times per week. We also work on them in class. We will begin Math and Phonics tests in a couple more weeks. Tuesday night is our Open House from 5:30-6:30 pm where you are able to see your child's classroom, meet the staff and tour the school. Feel free to stop by anytime during that hour and see what your child has been working on so far this year. I look forward to seeing you. Please refer to Mrs. Young's principal's note for other important information and see our Homework list below for the new Spelling words. They will also be on FB and a hard copy brought home on Monday. Fri: No homework but keep up the reading! Week 1 (Sept. 5-8) Welcome Back!!!! I can't wait to see all of my new students and I know it will be an awesome year ahead. Your student will be bringing home a little packet of information about the classroom procedures and I encourage you to read it and discuss the homework expectations with your child. The packet will give you other information such as how best to reach me with questions and where you can find important websites and our Facebook page in case you are new to our school or have never utilized these tools. I try to update our Facebook page with any new, important information but the principal's note is always the best place to start with questions. Your student should be bringing home a hard copy of their Spelling words each week from their book but if they forget (or I forget to remind them), they will usually be posted on Facebook and the newsletter. Please let me know if you have any questions about anything. I will usually be available from 8-9 A.M. (except Mondays during teacher meetings) or after school at special request. The first day of school will be a busy and confusing time for the kids so I ask that if you have supplies to bring in, please just set them on the desk marked for your child and we will go through them at the start of school. Don't forget that each child needs a water bottle, backpack, and lunch each day. Morning snack will be something out of their own lunch if they would like and afternoon snack will be provided by the school or they may finish their own lunch/snack. Please read through the school handbook and principal's note for important information regarding rules about food and drinks for your child. Here is the list of our first 15 review words which should be a piece of cake for your brilliant students. I can't wait to see everyone on Tues.!!!!! **NOTE**This includes kindergarten families to make sure we received all your paperwork from last week's orientation. Last Newsletter of the year!!! We have made it to the last, regular week of school (July 31-Aug 4) where we will spend time learning a few new concepts and reviewing much of what we have learned this year. Your students have done an awesome job and progressed very well this year. They will be missed as they move on to the next grade and for some, a new school but we know they will do well wherever they attend. Our final week of school (Aug. 7-11) will be filled with a little cleaning and a lot of fun and games. This week's attendance is not required but we know the kids have tons of fun with the school Olympics, yearbook signing, cleaning out desks, outdoor games and just spending time with friends. Mrs. Young will let you know of all the details soon. Parent volunteers will soon be needed for our school-wide cleaning days. We always appreciate the many ways our parents step in to help in so many different ways throughout the year. Thank you so much!! I have thoroughly enjoyed each and every student in the 2nd grade this year and look forward to following their success through the school years. Have a great Aug. and enjoy the rest of your summer. We have reached our second-to-last week of curriculum which will be followed by a week of fun events such as the CCA Olympics, yearbook signing, clean-up day, etc. It has been a wonderful year and the students have demonstrated a real, can-do attitude toward learning. These last couple of weeks will still include some new concepts but we will continue to review what we have learned throughout the year. We know your families are very busy during the summer months but it is still important for students to attend class as much as possible so they don't miss important tests and other instruction. Next week (July 24-28) will be another "off" week, followed by 2 "on" weeks and then 3 weeks in a row of summer before the new year begins. This Friday will be our last beach day in the afternoon. Students need to be in class in the morning for tests but can leave at 11:15 if they would like or can bring all of their beach stuff to enjoy an afternoon in the water. Please let their teachers or Ms. Mindy know if they will be leaving early. Thank you for all you do to support your students' learning!!! The school year is just about completed and it's been a joy to see all that we have accomplished so far. We are just about finished with all of our books and this week will be our last officical Spelling test for the year. We are spending some of our extra time reinforcing our reading and math skills and going over anything we are still struggling with. I hope that your children are bringing home their graded work so that you will be aware of anything they still need to work on this summer. We have only about 3 weeks left of regular curriculum and then a final week for all of the fun and games, Olympics, yearbook signing, etc. Please see Mrs. Young's principal notes as to what is going on regarding beach/water days, registration for next year, etc. Can't wait to see the students finish the year strong! Off-week July 3-7. Daycare available for those who need it. SCHOOL AND DAYCARE CLOSED TUESDAY, JULY 4, for Independence Day. Welcome to the end of June. We had a very productive week and the students were able to get back to their studies, even with the sun shining and the heat increasing. We are continuing to work on our Math facts, especially multiplication and division of the 0-5 families. A great way to work on these is through simple drills while you are out doing errands, taking a walk, etc. Memorization is crucial to increasing a student's ability to excel at Math of any kind. There are lots of easy computer games or apps that can increase their math fact fluency too. We have been working on our writing in many different ways and will continue to work on creating good sentences and adding the correct punctuation and capital letters. Remind your children to do their best in the last few weeks. They are almost to the finish line. Friday will be our first swim day if your child has completed all of their work for the week. Please remind them to bring their red shirts, water bottle, swimsuit, towel, SUNBLOCK, and anything else from Mrs. Young's list. We are in the final stretches of the year with only about 5 weeks of actual curriculum left to cover. We spent a lot of time in review on our last "on" week and will finish up all of our books soon. We are continuing to work on our cursive writing and will use it in additional places such as our journal writing in order to become more proficient. We also want to work on additional reading groups and spend some extra time on reading comprehension since this will be so important for 3rd grade. We hope you all had a great break and we look forward to finishing out this year strong and on task. Please remember to look at Mrs. Penland's page for homework instructions and additional information of upcoming events. We are excited to announce that Mrs. Duke and her husband, Pastor Casey Duke, will be leading Sports Camp!! We will start at 9 am and end at 11:30am. Some of the youth group students from Mountain View Bible Church will be helping facility the activities. All events will be on campus. Welcome to the last quarter. The summer is quickly approaching and we are nearing the end of our books. All of the students have worked super hard this year and learned so much. They did a spectacular job on their Solar System projects and we all enjoyed learning more about the planets and seeing the creative designs. Thank you so much for helping them out on the projects. We are in need of a little snack if anyone would like to donate some to make it through the rest of the year. Children can also just bring their own snack for morning and afternoon, especially for those that stay later into the afternoon. This last quarter we will focus on writing in our journals and hopefully some poetry and maybe even music. We will also continue to review Math in the afternoons when time permits in order to get everyone more confident in their skills. Don't forget about our Father's Day program on Friday at 9am. It looks like the weather will cooperate. Bring your lawn chair and get ready for some fun. If a dad can't attend, feel free to send a grandpa,big brother, uncle or any other adult that your child would like to spend the day with. Welcome to the last quarter. It has been a busy and fruitful year and we are so pleased with all of the students' progress in every subject. As we near the end of the year, we are doing our best to prepare each student with the skills they will need for 3rd grade and beyond. That is one of the reasons I chose to do a Science project that included a small report and a physical replica to build or create. In 3rd and 4th grade the students work more on book reports, oral presentations and other larger projects so this will better prepare them for the step up in curriculum and difficulty of homework. I am so proud of all of the kids in the class as I don't think there is a single one who doesn't like to speak or read in front of the class. This is such an important learning tool for all of them. We will be presenting our Solar System project in class, along with reading what we have learned about our chosen planet all week long. We can't wait to see what ideas your children came up with and all that they have learned about the solar system. We will continue through our Cursive book and really stress the idea of neat writing and printing in all of our work, even if the sun IS shining and we would much rather be outside. Thank you to all of the parents that made time to come to conferences and hear about the awesome job your kids are doing. We love each and every one of them and can really tell how your parental support makes such an impact on their lives. We are so proud of how well your children performed for the Mother's Day program and we are so happy that so many of you could attend. We have wrapped up the 3rd quarter and are beginning the 4th quarter this week. It is a short week before teacher conferences but we still have lots of curriculum to pack into this last part of the year. Our focus will continue on the Solar System in Science and we will be sharing our projects next Mon.-Thurs. so please be sure that your student has finished some kind of physical replica of the solar system along with their 7-10 sentences about their favorite planet or the sun. We look forward to a great week ahead and can't wait to share your student's progress at the conferences. If you have not signed up yet, there are still many spaces left. If you are unable to attend, please let us know. Thank you for sharing your student with us each day. They truly are a blessing. We hope your children enjoyed the week off or had a great time at Wilderness camp. We are ready to jump back into the curriculum and finish up this 3rd quarter. Your students did a great job on the ITBS testing and results should be ready by teacher conference time next week. Please see Mrs. Penland for the sign-up sheet of available times. We are working on the Solar System for the end of this quarter and the beginning of next quarter in Science. Your student was given a handout letting you know of an upcoming project due May 22nd. We will spend the week talking about our projects that we created and discussing what we learned about our chosen planet. Please see me if there are any questions about this project. This Friday is our Mother's Day Program. Please see Mrs. Young's Principal note for all details. Mothers, Grandmothers or any other substitute are more than welcome. It will be a fun day of songs, games, and great food. Please continue to encourage your children to do their best, even when the sun is shining and the outdoors is calling. These last 9-10 weeks are still very important in the scope of learning. We hope you have a great week ahead and feel free to contact us with any questions or concerns. We are almost ready to jump into the last quarter. Next week we will be concentrating on the ITBS testing so try to make sure your student is on time and present each day if at all possible. We thoroughly enjoyed our egg hunts and thank you to all the parents and grandparents who donated candy and eggs. Our Mother's Day program is the next event coming up in May. Our class is practicing a special piece for our mothers. Our Science unit will include a Solar System project that will need to be completed at home by the 22nd of May and I will send home a paper explaining the project. This does not have to be giant project but does need to be completed by your student with minimal help. It can be typed if they would like but definitely not required. We will be sharing and displaying our projects the week before Memorial Day weekend. We hope you all enjoyed your Easter and the joy we have knowing Christ has indeed risen and is coming back soon. Thank you for all of your continued support. Thank you so much for the snack donations. They are greatly appreciated and always needed with so many students. We have enjoyed a long, 2-week break but are back and ready to study hard. Our ITBS testing will start in just a couple weeks so we are working hard to complete all of our lessons in order to be well prepared. We have been finishing up our Science lessons on plants and each student will hopefully have a bean plant or two to bring home and watch grow. The kids really enjoyed watching them spring up out of the dirt so quickly. Our next focus will include energy, force, and magnetism. If you have any extra magnets lying around home that you would like to let your student use for experiments, feel free to send them. Our weather is warming up quite a bit but is still cold in the mornings so all kids still need to bring a sweatshirt or light coat in order to go outside. Thank you for being such wonderful parents. Your support of the teachers and your students brings us such joy! Thank you and please contact myself or Mrs. Penland with any questions or concerns. Mar 27-31 is an off-week (no school) for CCA based on our year-round school calendar. We have arrived at the final week before our 2 weeks of Spring Break. We are excited to see the progress your students are making each week. We encourage you to remind them to study their Spelling words each week and write them at least once for their homework grade. Writing them out in practice has really been shown to increase scores on the final tests.We are now trying to post both Spelling lists on Facebook and the children know whether they are on the 2nd or 3rd grade list. We are also learning many new concepts in Math so it would be great to see your children sharing their Math assignments with you in order to see what areas might need to be practiced a little more throughout the week. Our Science lessons have moved from animals and insects into plant life. We hope to plant our own little plants this week and then watch them grow. Hopefully our sunshine will cooperate so we can observe more plant life outdoors too. Remember to keep bringing a warmer coat for the early morning recesses and maybe a sweatshirt for later in the day as it warms up. We love being able to go outside and run off some energy. Thank you to all who have brought in snack and treats over the past few months. We are always in need of snacks and appreciate any donations you offer. We wouldn't be a great school without all of the great families we have in attendance. Once again, if you have any questions, comments or concerns, please let us know. I can be reached at 755-3046 or call the school office if you need me immediately. Welcome to week 22 and the second to last week before Spring Break. We are already heading toward the half-way point of the quarter and are pleased to see how hard the students are working. We have seen much improvement in all subjects and are excited to see the creativity flowing in our writing and other areas. We learned about beavers and their habitats in Science and are now studying bugs of every kind. We may have a chance to capture a few live ones if the weather warms up but this IS Idaho so we can't guarantee it. If you have not turned in a completed or near completed Reading sheet for the Silverwood tickets, please do so ASAP so everyone can receive their ticket. Also, the spots for next year are filling fast for 3rd grade so make sure to turn in your registration early. Please read the note from the principal concerning the upcoming play along with other important information about our school. We are just a few weeks from the official start of Spring and it has been wonderful to enjoy a few days outside without snow. The children will no longer need to bring snow clothes either, just a heavy jacket with gloves and hat if needed. We are also asking that they appropriate footwear for running and playing. Extra boots or shoes are appreciated if they are wearing dress shoes. There are just 3 more weeks until Spring Break. We have discussed the upcoming play that all children in Kindergarten and older are invited to participate in and Mrs. Young will be passing out permission slips this week. They will learn their parts during drama camp which is the week of April 3rd-7th and finish off the week with the play on April 8th. This is also the last week to finish up those "Reading Is The Ticket" sheets in order to earn a free Silverwood ticket. Please send them in as soon as possible so your child doesn't miss the deadline, even if they are short an hour or two. The final day to turn in slips is March 13th. Our Science lessons will continue with our animal unit this week and we all had a lot of fun exploring earth worms and learning about where they live. It is amazing to see how God designed each animal, bug, and mammal to survive in just the right environment. We are already beginning week 20. Wow, the year is flying by! We had a great Valentine's party and appreciate all of your support. We are continuing our lessons in Science and will start a unit on animal habitats. We are hoping to learn how God has created each animal in a unique way. We are using our handwriting skills to write journal entries and work in our books. Your children have great writing skills already.There is usually no homework in these classes to take home but don't forget to check our homework link on Mrs. Penland's page. There is always reading to do and Spelling words to write each week and these count for 10 points. The weather has been warming up but continue to bring snow clothes, especially boots since our field is still pretty soggy. We try to go out every day possible as the fresh air is a great benefit to our health and motivation. Thank you for all you do to support the teachers and your students. We really appreciate it. We have finished up our second quarter already and grades will be sent home soon. Your children have done amazing, especially with so many who were out for illnesses in the last month. We thank those of you who were able to bring home work for your kids although we also realize that sometimes we are just too sick to do homework. This week is our last week before our next "off" week so we hope to get a lot accomplished. Our Science lessons have been discussing proteins, minerals and healthy eating and will be centered around teeth this week. It is great to explore all kinds of subjects that relate to ourselves and the natural world around us. We are looking forward to Spring and all the neat things we can enjoy outdoors too. We hope that you have had a relaxing weekend and that all the kiddos will be back on Monday. Just a reminder: continue to bring snow clothes each day as we try to get outside if the weather and slush cooperates. Our Valentine's party will be on Tuesday and kids can wear pj's if they would like and can bring Valentines and goodies if they wish. On the "off" weeks, kids can bring a toy from home if their parents approve but we ask that it not contain toy weapons or be loud. We also don't allow Barbies or those types of dolls. The children are solely responsible for their toys. Have a wonderful week and don't hesitate to call, text or email us with any questions or concerns. We are finishing off the 2nd quarter this week and hope to have all of our students back happy and healthy. It has been a rough couple of weeks for so many kids and their families. We are just beginning our unit on Science and can't wait to see how we can incorporate it into our classroom learning. Our handwriting lessons are continuing with more of our time being spent in writing journal entries and other writing assignments. This gives us a practical way to put our writing into practice in a creative way. Next week, Feb. 14th, will be our class party for Valentine's Day. Your student may wear pajamas or Valentine colors if they would like and are welcome to bring cards for their friends. We are also collecting shoeboxes so each student can decorate one to hold their Valentine goodies. Feel free to send extras if you have any around the house. The kids can also bring a treat to share if they would like. Unlike earlier stated, I will hopefully be back in our classroom in the afternoons from now on and am always available before or after school with any questions or feel free to text or call me during the day at 208-755-3046. Keep on reading for the Silverwood tickets. We still have about a month but it will go by quickly. Encourage your children to record all of their reading for Silverwood and for their class reading chart which is part of their homework. Let's finish out this quarter with gusto! We are almost finished with the 2nd quarter and hope you are all ready to work hard these last couple of weeks. We have finished our unit on Health and will move into some more writing projects and then Science. I will be subbing in the 3rd and 4th grade classroom for a few weeks in the afternoon so Mrs. Penland will be continuing our studies in Cursive writing and other afternoon work. We are both pleased with how hard the children have worked in their writing books and they continue to improve each day. We are continuing our lessons in Math with review of measurments and lots of adding and subtracting. Help your children practice at home with borrowing in subtraction (ex. 73-47=...) and addition with carrying (459+623=...). These are some tough concepts that need lots of practice. We are also working hard at completing our "Reading Is The Ticket" sheets so we can all earn a ticket to Silverwood. We need everyone's participation so we will have enough students to qualify. This is a great way to improve reading skills along with the bonus of a free ticket. Don't forget all of your snow clothes as we go out every day when possible. We look forward to seeing everyone on Monday!!! Jan 23-27 is an off-week (no school) for CCA based on our year-round school calendar. We are already halfway through our second quarter and your students did an amazing job making up all of the work we missed during our snow days. We got to enjoy a little outdoor recess this week which was a welcome change from the freezing week of early January. We have almost completed our Health book and have learned about many kinds of safety: bike, telephone, strangers, and even being safe when dealing with germs. We will finish up with water safety which is an important subject for our area which is filled with lakes and rivers. We also learned a lot about courtesy both at home and out in the community. Encourage your children to demonstrate ways to be caring, considerate and patient such as when you are speaking on the phone, waiting in line, etc. Our Math lessons have involved a lot of measuring recently such as temperature, inches, feet and yards, along with finding equivalent amounts of cups, pints, quarts and gallons. This would be a great time to have them practice at home with rulers, yard sticks and things you use in the kitchen to measure. We have an incredibly smart 2nd grade class and we thank you for sharing them with us. Have a wonderful week and please come to us with any questions. I can't believe we are already heading toward the end of the 2nd quarter. This year is just flying by and your students have been doing an amazing job in class. They definitely had a challenging week last week with having to stay inside all week after coming back from a long, Christmas break. They all did amazing on their tests and classwork, especially with losing a day to hazardous weather conditions. We are hoping that the weatherman is right and that this week we will be back to sledding and getting some fresh air that doesn't bite your nose. That being said, don't forget all the snow clothes that are needed for outdoors. Bring them each day, even if you aren't sure if they will be having outside recess. We are already most of the way through our Health book and talked a lot about using good manners and showing respect for those in authority in our own homes and around the community. It is such an important lesson to learn and we hope you will encourage your child to talk to you about what they learned and how they can put it to use. Don't forget to have your child write their spelling words 2x each during the week and read for 15 minutes each night. We are working toward another class party and want everyone to help us get to that party line. This homework is worth 10 points each week and will definitely help your child succeed on their spelling tests and become a better reader. We hope you all have a wonderful week and please let us know of any questions or concerns. We hope you all enjoyed a nice, long break for Christmas vacation and are ready to get going again in the new year. We have all been enjoying the snow and the fun that it brings and hope that the temperature will warm up for some fun outside as the week progresses. Don't forget snow clothes each day, even if you aren't sure whether we will be outside or not. Our new water dispensers are all hooked up and ready for use. Thank you for all the fundraising efforts that made those possible. Please remind your child to bring a refillable water bottle. We want all of our children to stay healthy and away from the extra germs water fountains seem to attract. This week will be full of new concepts in Math and our Spelling list is a little challenging so please try to make sure your child is in class each day so they don't miss a lot of important lessons. If they are sick, we are happy to give you work to take home to them. Our new chapter in Health is discussing communicable diseases which is so fitting in cold and flu season. We pray that each of you will avoid these illnesses. We want to once again thank those who brought goodies to our Christmas party, along with Mrs. Anderson's hard work with our pallet painting. The kids did a wonderful job on their projects and had a lot of fun. Our Spelling List is posted on facebook along with the paper copy that will be sent home on Monday. We look forward to starting the New Year off with a positive attitude and lots of hard work. Please call, text, stop by or email with any questions or concerns. Welcome to the last, regular week of school for 2016. We have made tremendous progress since September and I think all of the children are ready for some fun in the snow. We will be doing some fun activities this week along with our major art project on Friday morning. If you haven't turned in your $10 for the project, please send it this week to cover the materials. That day we will also have our Christmas party so if your child would like to bring a treat to share with the class, they may, along with a small stuffed animal. Also due is the yearbook slip. It must be signed and turned in whether you choose to order a yearbook or not. Don't forget to send all, 5 things for outdoor play. Each child needs snow boots, hat or hood, warm gloves, heavy coat and snow pants. They may also bring a sled, marked with their name. Along with our Christmas party, we will also have a special guest on Wednesday afternoon from 7-day Dental to discuss proper dental care. We are learning about teeth and healthy bodies in Health class and want to make sure we do our best to keep our body in great shape. Don't forget that each child has homework that is now counted as part of their grade each quarter. Mrs. Penland has it listed on her newsletter and it mainly involves 4 nights of reading for 15 minutes and writing out the spelling words 2x each. Please encourage your children to finish and turn in this homework as it will account for their grade. We hope you all have a wonderful week ahead and don't forget to call or text with any questions. Good Morning 2nd Grade Families!!!! We are so proud of all our students who performed on Saturday at the Christmas program. They did an excellent job and we are sure the angels in Heaven were singing along with us. It is going to be very cold this week so please bring snow clothes in case we are able to go outside for a while. We will continue our studies on healthy eating, exercise and taking care of our bodies in Health. Encourage your kids to see how many healthy foods they can think of and what kinds of exercise they can do to get their blood pumping. We will keep practicing our cursive and are ready to work hard these last two weeks before Christmas break. We will have a pajama/Christmas party on Fri. Dec. 16th. Mrs. Anderson will be doing a fun project for us that morning. Feel free to contact myself or Mrs. Penland with any questions. For homework this week, please write spelling words 2x each and read for 15 min. each night. If your child has a spelling grade listed for spelling homework on Monday, it means they finished their homework in class and additional practice is optional. We are already jumping into the 2nd quarter and have a very busy schedule. Even though Mrs. Penland will be gone the first 3 days of this week, we will continue to practice our Christmas program songs in front of the rest of the school. Please encourage your children to sing them to you. The "Born in Bethlehem" song by Third Day is on YouTube and the kids are really getting the hand motions down too. In order for everyone to learn the songs and be prepared for the program, please try to have your children in the classroom by 8:50 each morning. Our program is next weekend! Along with the upcoming holidays is also the chance of snow. Please remember to send all 5 things (hat, warm coat, boots, snow pants, and gloves) when there is snow in the forecast or on the ground. We can't wait to start sledding on the back playground. We have begun our quarter on Health and are excited to learn more about keeping our bodies in tip-top shape through healthy eating and exercise. We also want to learn more about helping those in our community to stay warm and healthy through the winter. If you have any questions regarding what your child is learning or about the upcoming school activities, don't hesitate to ask or send us a text. You can reach me at 208-755-3046 or at the school number, 208-773-5200. Thank you for all of your love and support. We couldn't do it without you!